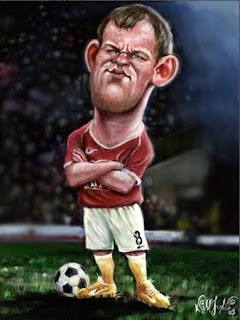 The Professional Footballers' Association award came a day after Manchester United manager Alex Ferguson said Rooney would miss the final two matches of the Premier League title run-in because of a groin injury, having just recovered from an ankle problem. But Rooney hopes to play in the last match against Stoke, with United just a point behind leader Chelsea and the 24-year-old forward maintains he will not miss England's World Cup opener against the United States on June 12. Rooney, the first Englishman to win the PFA award since Liverpool midfielder Steven Gerrard in 2006, has dazzled this season after being deployed in a more central role since Cristiano Ronaldo's departure to Real Madrid last June. Rooney also was nominated for the PFA Young Player of the Year this year, but that award went to Aston Villa midfielder James Milner. Milner has put himself in contention for England's World Cup squad with a string of strong performances as Villa stays in the hunt for the fourth Champions League place.